A hard to find gem in the heart of Scarsdale. Enjoy the spacious feel and elegant layout of a house with all the benefits of an apartment, 24 hour security, one floor living, elevator, garage parking, terrific maintenance and attentive service. Rooms are large and bright. 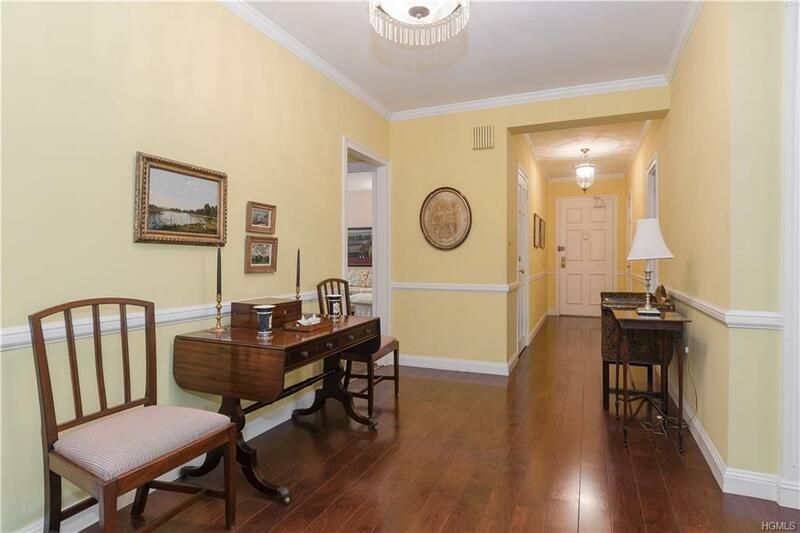 Closets are numerous, and details abound: wood burning fireplace, architectural touches, elegant hardwood floors in the public areas, custom cabinetry, gracious entry and foyer, bedrooms laid out for privacy and tranquility, and beautiful garden views. 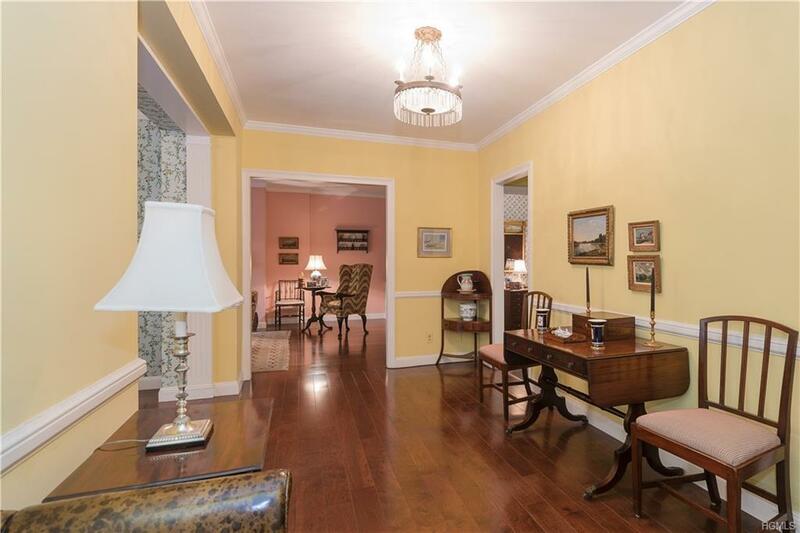 This beautifully maintained building also offers a storage area, immaculate exercise room and a card room. The private gardens are a retreat for owners and their guests. 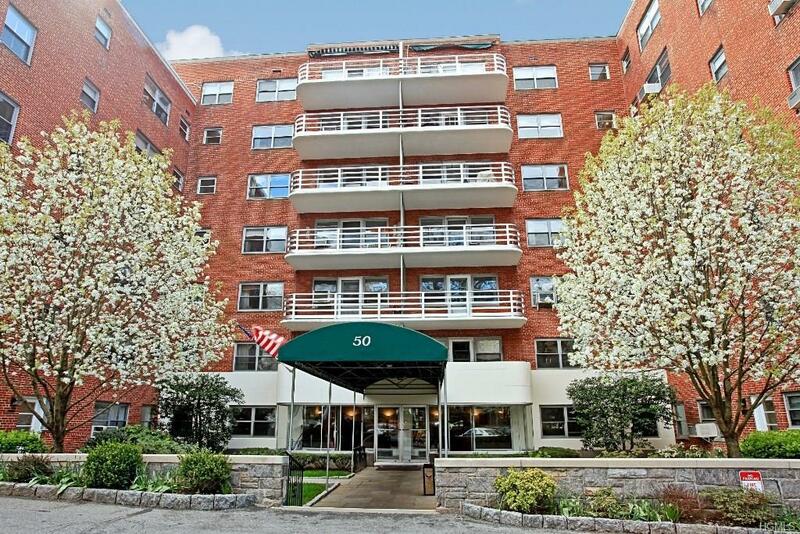 Walk to shopping, restaurants, parks and the train station for a 32 minute train ride to Grand Central Station. Flip tax to be paid by the buyer. Chandeliers in the dining room, and foyer (two) and all sconces are excluded. 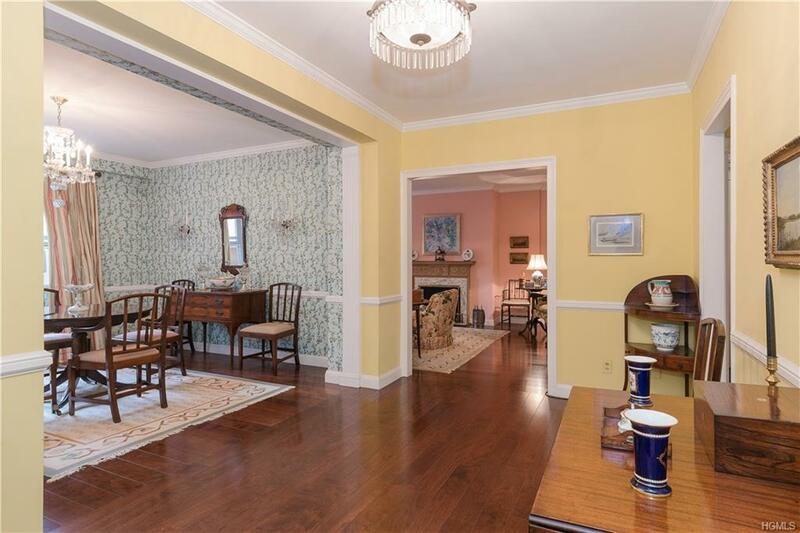 Listing courtesy of Ruth Burger of Houlihan Lawrence Inc..